Patients practice walking with prosthetics received from the Red Cross along with other victims of mine blasts at the ICRC rehabilitation clinic in Kabul, Afghanistan on April 27, 2010. 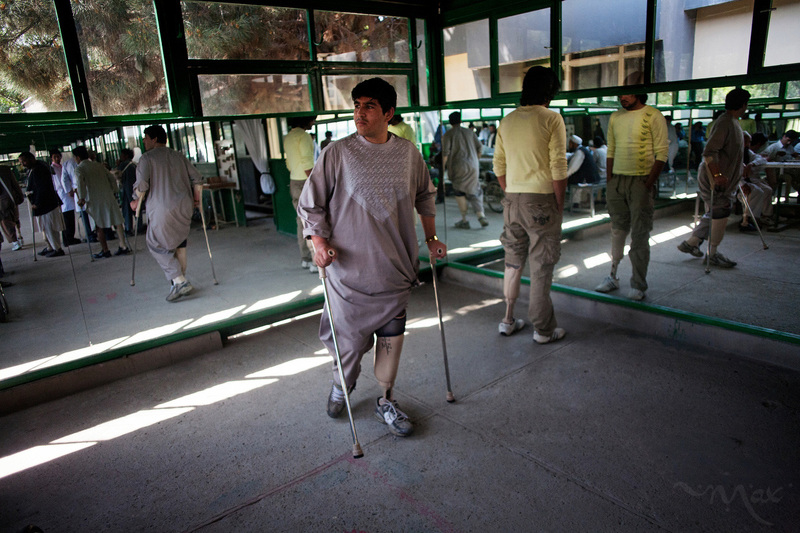 The International Committee of the Red Cross (ICRC) manages six physical rehabilitation centers across Afghanistan and maintains a workshop manufacturing prosthetic/orthotic limbs for war victims and those with other disabilities. The doors to the clinic are open to all Afghans who are wounded for any reason.